This component of the Initiative is designed to make general citizens aware regarding cyber security. Till date 5401 individuals in 43 workshops held for this purpose. 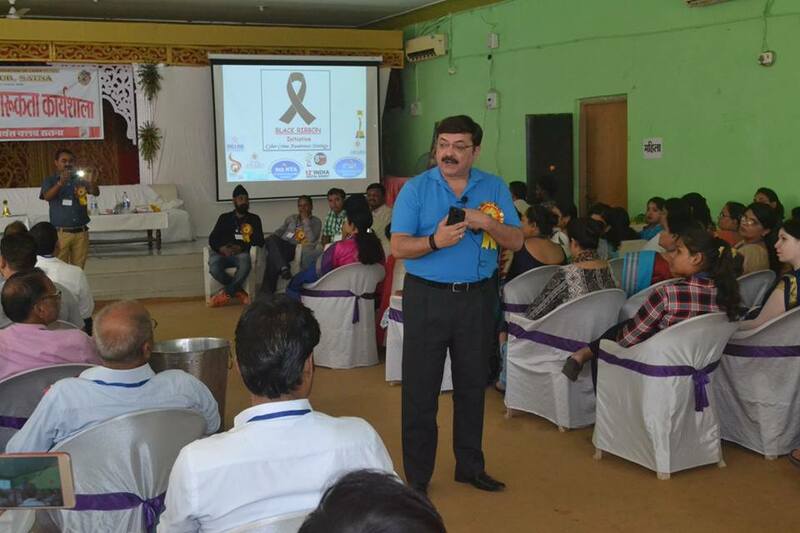 297th Workshop of cyber security under the Black Ribbon Initiative (SAMADHAN Series 43) held for the members and nursing staff of the Bombay Hospital under the aegis of Lions Club at Jabalpur (MP) on 27th September 2018. 288th Workshop of cyber security under the Black Ribbon Initiative (SAMADHAN Series 42) held for senior NGO's of the CRPF at the Internal Security Academy at Mt Abu (Rajasthan) on 10th August 2018. 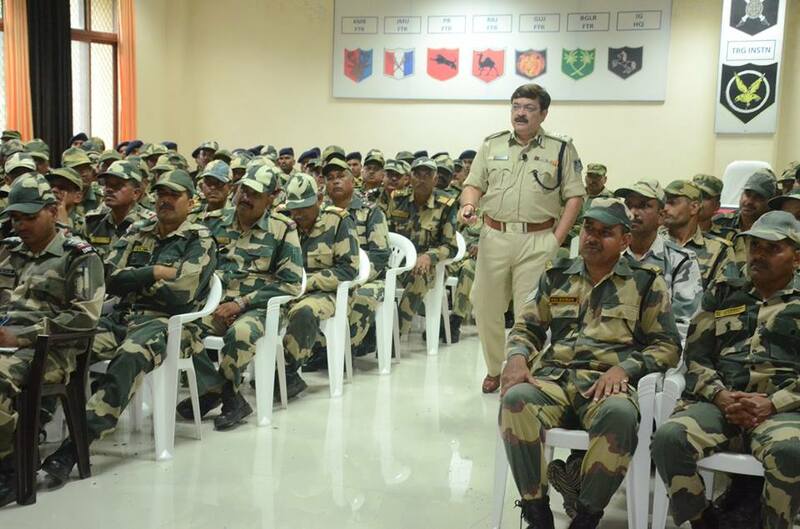 281st Workshop of cyber security under the Black Ribbon Initiative (SAMADHAAN Series 41) held for the officers and men of the Border Security Force (BSF) at their Subsidiary Training Center at Indore (MP) on 11th July 2018. 277th Workshop of cyber security under the Black Ribbon Initiative (SAMADHAN Series 40) held for the enlightened members and citizens of Satna (MP) organized by the Lions Club of Satna on 13th May 2018. 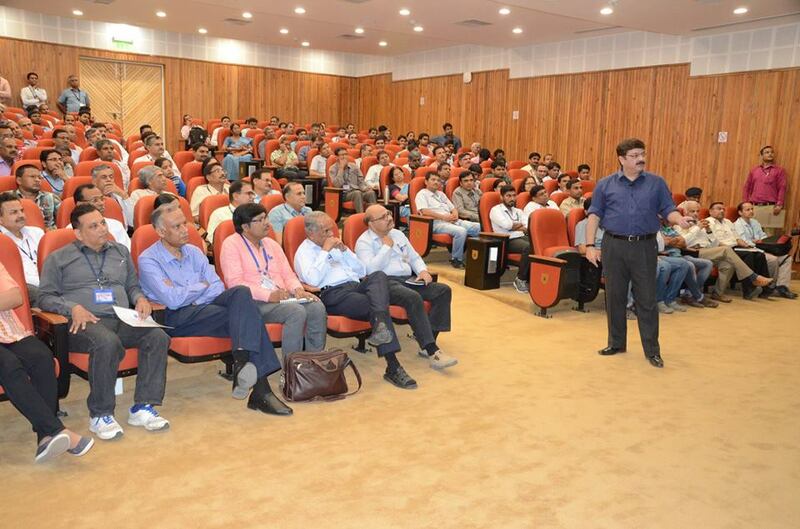 275th Workshop of cyber security under the Black Ribbon Initiative (SAMADHAN Series 39) held for the scientists of the Raja Ramanna Center for Advanced Technology at Indore on 7th May 2018. 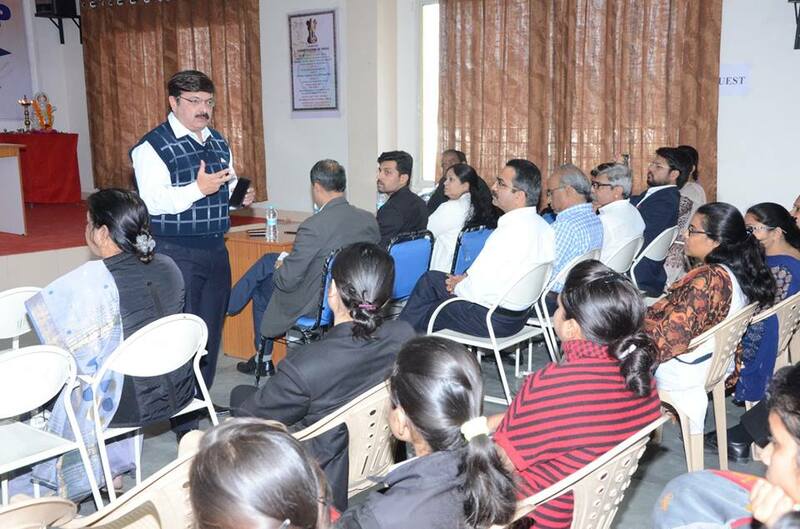 259th Workshop of cyber security under the Black Ribbon Initiative (SAMADHAN Series 38) held for the Lawyers of the Akhil Bharatiya Adhivakta Parishad of the High Court at Indore on 25th January 2018. 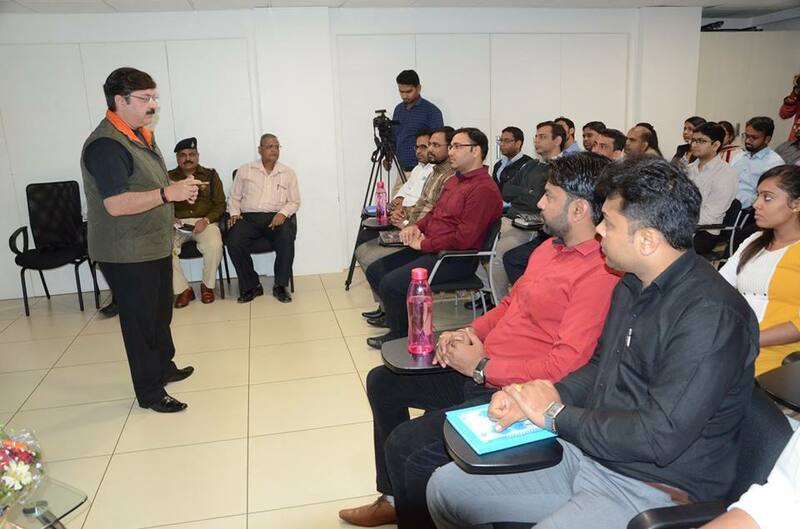 257th Workshop of cyber security under the Black Ribbon Initiative (SAMADHAN Series 37) held for the participants of the Talented India portal at Indore on 24th January 2018. 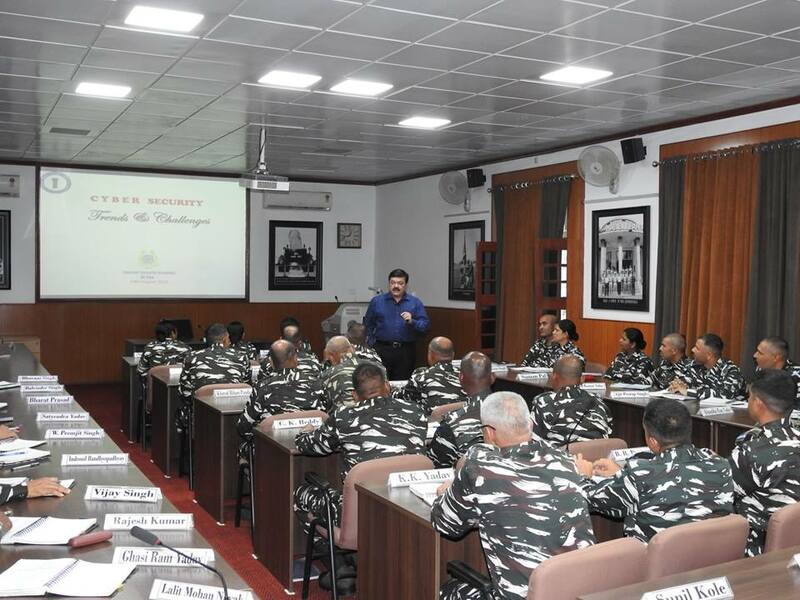 241st Workshop of cyber security under the Black Ribbon Initiative (SAMADHAN Series 36) for the senior police officers and trainee police officers of Andaman & Nicobar Islands Police at the Police Training School at Port Blair of 4th October 2017. 238th Workshop of cyber security under the Black Ribbon Initiative (SAMADHAN Series 35) for women trainee constables and senior police officers of the Recruit Training Center and of the 31st Battalion PAC of Uttarakhand Police at Rudrapur in Uttarakhand on 21st September 2017. 237th Workshop of cyber security under the Black Ribbon Initiative (SAMADHAN Series 34) for the women police officers and other senior police officers of the Police Training School at Meerut on 19th September 2017. 234th Workshop of cyber security under the Black Ribbon Initiative (SAMADHAN Series 33) for the members of the Thalassemia & Child Welfare Group of Indore on 12th September 2017. 232nd Workshop of cyber security under the Black Ribbon Initiative (SAMADHAN Series 32) held for the senior police officers of Manipur Police at the Police Training College at Pangei in Manipur on 5th September 2017. 228th Workshop of cyber security under the Black Ribbon Initiative (SAMADHAN Series 31) held for the members of the Shri Samarth Ramdas Seva Mandal Indore on 27th August 2017. 222nd Workshop of cyber security under the Black Ribbon Initiative (SAMADHAN Series 30) held for the officers of Pondicherry Police at the Police Training School Pondicherry on 4th August 2017. 221st Workshop of cyber security under the Black Ribbon Initiative (SAMADHAN Series 29) held members of Lion's Club of Indore Division as a TOT on 30th July 2017 at Waterlily Indore. 215th Workshop of cyber security under the Black Ribbon Initiative (SAMADHAN Series 28) held for senior police officers at the Dr BR Ambedkar Police Academy at Moradabad (UP) on 30th June 2017. 214th Workshop of cyber security under the Black Ribbon Initiative (SAMADHAN Series 27) held for Uttar Pradesh police officers at the Police Training College, Moradabad (UP) on 30th June 2017. 213th Workshop of cyber security under the Black Ribbon Initiative (SAMADHAN Series 26) held for the members of the group called Eclectika Knowledge Forum at Hotel Shree Maya on 18th June 2017. 212th Workshop of cyber security under the Black Ribbon Initiative (SAMADHAN Series 25) held for the senior officers; DSP's; SI's and constables of Delhi Police at the Police Training College at Jharoda Kalan in Delhi on 9th June 2017. 209th Workshop of cyber security under the Black Ribbon Initiative (SAMADHAN Series 24) held for cadets and staff of the Police Training School, Umaria (MP) on 23rdMay 2017. 208th Workshop of cyber security under the Black Ribbon Initiative (SAMADHAN Series 23) held for cadets and staff of the Police Training School, Mana Raipur (Chhatisgarh) on 19th May 2017. 205th Workshop of cyber security under the Black Ribbon Initiative (SAMADHAN Series 22) held especially for ladies of the Vaishya Mahasammelan Women's Wing at Indore on 26th April 2017. 199th Workshop of cyber security under the Black Ribbon Initiative (SAMADHAAN Series 21) held for Shri Chhatrapati Shivaji Sahakari Sakh Sanstha Maryadit at INDORE on 18th March 2017. 191st Workshop of cyber security under the Black Ribbon Initiative (Samadhan Series 20) held at the Jai Ho Sansthan Dhar on 8th February 2017. 189th Workshop of cyber security under the Black Ribbon Initiative (Samadhan Series 19) held at the Bal Niketan Sangh on 28th January 2017. 187th Workshop of cyber security under the Black Ribbon Initiative (Samadhan Series 18) held at the Nehru Yuva Kendra's National Youth Festival on 20th January 2017. 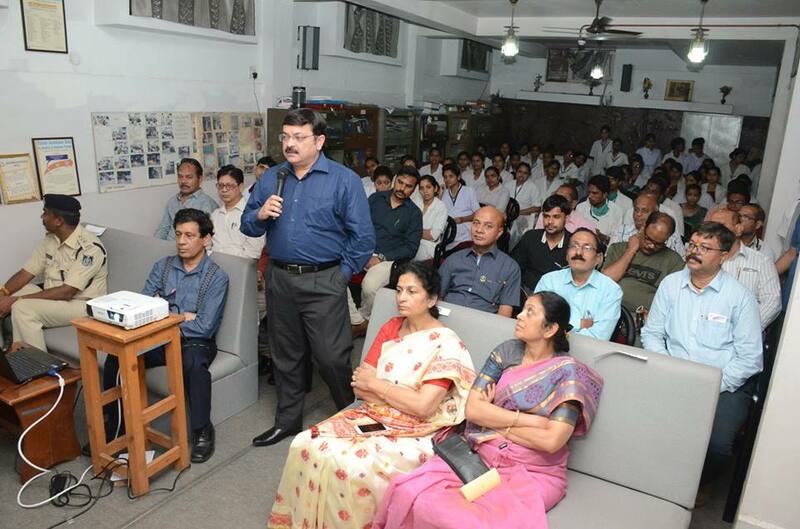 172nd Workshop of cyber security under the Black Ribbon Initiative (Samadhan Series 17) held at the Nehru Yuva Kendra at Indore on 2nd December 2016.